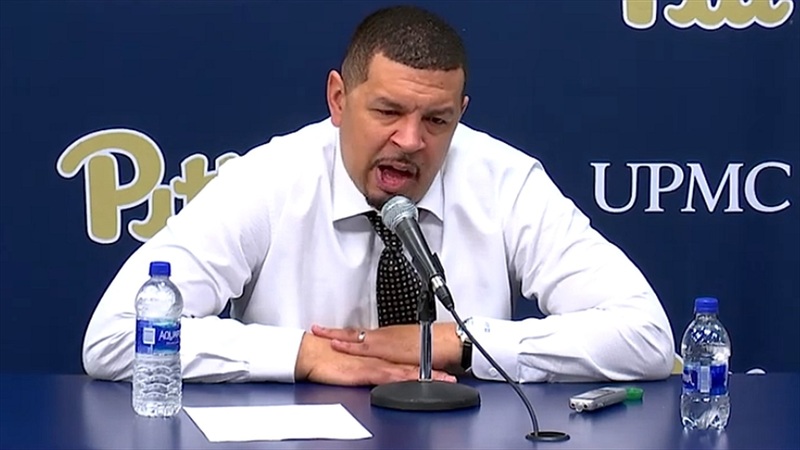 Pitt's Jeff Capel: "They Made Some Big Shots"
Pittsburgh head coach Jeff Capel met with the media after his team's 79-76 home loss to NC State. Tough loss. Very, very tough loss. Congrats to NC State, they made some big shots down on the stretch. That [Markell] Johnson three at the top, I thought we played good defense. I’m proud of my team. We’ve continued to fight through adversity. We’re on the ropes a little bit right now, but we have to fight our way off of it and we have to do it together. I thought we exhibited that today with the exception of the start of the second half. I thought we did some really good things. It’s been a really adverse week for us, a heartbreaking loss on Tuesday and obviously Malik’s [Ellison] injury. Then we had a couple days where we had guys out of practice sick—really, really sick. For the guys that were able to get out there on the court and give us minutes today, I’m really proud of them and I wish there was something we could do to get this feeling out of us, but we have to continue to fight. We have to continue to do the little things and understand the importance of it and the importance of doing them at every possession. We are a team and we have a very, very small margin of error and every play we have to be mentally and physically locked in. We are learning how to do that and haven’t figured it completely out yet, but today was a positive step although the outcome wasn’t what we wanted it to be. I don’t know. We will evaluate him tomorrow and hopefully have a better idea. Our two-point field goal defense was pretty good. Obviously, defensive rebounding, and then they made threes. They were a team that was shooting 30 percent from three in conference play over the last four games, 26 percent. They made some today. They made a lot of them today. Some of them were contested, some of them we didn’t get to guys. We lost a couple of guys, especially at the start of the half. I thought at times we got a little bit tired in our zone, didn’t rotate as quickly as we needed to be. I thought a couple times as we drove, our focus wasn’t 100 percent completely on finishing. It was on trying to draw contact or thinking there was going to be contact and bracing for it. A few times there wasn’t any contact. So we have to focus on just the shot and not on anything else. I thought that played a part into it. A couple times, we didn’t get the ball where we wanted to get it to. I can think of one off the top of my head where the shot selection wasn’t what we wanted. A couple times they played good defense and they contested shots and we just missed it. Some of it could be a little fatigue, too.